As the world continues to revolutionize everything, the power of the latest trend in technology continues to expand. People have found a way to develop an easier way to trade without putting the security of your financial account at risk and created a way to trade online without the need of physical currency. In the cryptocurrency market, Bitcoins are already considered a fundamental factor and can be used as an instrument for trading. This is the ideal counterpart of the physical money that we use. Bitcoins, just like regular money, can be used to purchase assets and trading. What Is the Difference Between a Bitcoin and an Altcoin? Bitcoin is considered by some as a Digital Gold, the perfect equivalent for your monetary units. It can also be compared to a physical gold as it can become an asset or high commodity if economic crises arise. It is basically money sans the physical form, whereas Altcoin is the alternative to Bitcoin. Altcoin is composed of different entities from a Bitcoin and the decentralized version of this. Due to the long process involved in the polishing and improvement of the characteristics of a Bitcoin, prolific of the cryptocurrency market created an alternative to Bitcoin which has some features of a regular Bitcoin technology. The Altcoins were invented, and each defines a basic function and characteristics that will suit the traders’ needs. Although several factions of Altcoins were created, not all stay for long. In more than a thousand created, only a few managed to stay and continue to develop and evolve. One good example of an Altcoin that was able to sustain the ever-changing market and trading needs is the Litecoin. A Litecoin is considered to be the closest thing to a Bitcoin and has the same potentials to rise in rank. It is also known as the silver for online trading, second to Bitcoin which is known as the gold. There are different types of Altcoins that are being used in the Bitcoin community. Although not all Altcoins developed stayed for long, here are some of the Altcoins that were able to last and with the most stable standing among other Altcoins in the market. Namecoin – It is the very first Altcoin created with a main objective of assisting in the decentralization of different online entities; this means that this is originally designed to control and change an alternative Domain Name System (DNS) for .bit domain. This was introduced in April 2011 and one of the oldest Altcoin in the market. 2. Litecoin – An Altcoin that is considered the second-in-command in the cryptocurrency market. It is the most established Altcoin and basically the closest thing to Bitcoin. It uses the same Bitcoin protocol but remains cheaper than Bitcoin. It uses a consumer-grade GPUs which explains why it is cheaper compared to Bitcoins. 3. Peercoin – It is another Altcoin that is based entirely on Bitcoin. The only difference is that it uses a different method in the verification of the coins instead of relying solely in solving hashes by using the proof-of-work (POW) system. Peercoin is also considering of changing their POW system to proof-of-stake (POS) system. A POS system means that there is no limit for mining coins. So long as you have a lot of coins, the more chances of you mining more. This is deemed beneficial and risky for traders: beneficial as you will want to invest more coins to have a greater percentage of mining more coins and risky as not having a fixed upper limit for coins can subject to an inflationary currency. 4. Primecoin – Normally, in Altcoins, for you to be able to mine, you will be required to solve hashes, but in Primecoin, this option is completely removed. The only way you can mine is by finding Cunningham chains. A Cunningham chain is a particular large sequence of prime numbers; it is arranged in a way that it can be spotted like a chain of numbers. These numbers are said to impose a greater mathematical value than answering hashes. These chains are decoded in the cryptocurrency mining. 5. Feathercoin – This is the closest thing to Litecoin. A direct spin-off and very much similar to the Litecoin and Bitcoin technology. What set this apart from Litecoin is that the mining difficulty is adjusted more often in Feathercoin. Feathercoin also incorporates an advanced design in the security system that allows it to be protected against 51% attacks. The advanced checkpoint which it implements helps in securing and making sure that malicious transactions and other fraudulent account transactions can be prevented. 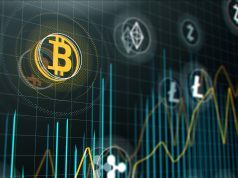 What Are the Advantages and Disadvantages of Altcoins? There are several reasons why Altcoin is beneficial and can play an important role for you in real life. Altcoin and Bitcoin are best used in online trading. You can use Altcoins you earned through mining or other sources to buy assets and other important commodities online. Since they can serve as good as cash, Altcoins are more secure for online transactions. Easy transfer to your peers at low cost. The fees of transferring Altcoins to your peers are lower in cryptocurrency transactions compared to traditional methods. More security and your identity can be kept confidential. If you want to go in the trading business in complete anonymity, then Altcoins are the best type of currency that you will need. Can’t be easily faked. Unlike credit/debit cards and other bank notes, Altcoins and Bitcoins can’t easily be counterfeited. This is due to the complicated security feature of each Altcoins that only a certain system can read. 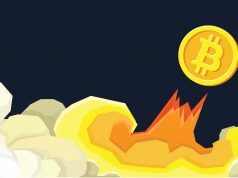 Price for both Bitcoins and Altcoins can be unstable. A serious cryptocurrency market research is necessary to avoid trading losses and incurring any serious damages to your assets and commodities. Can be hacked. Just like any other strongest system software in the world, your Altcoins and Bitcoins are not invulnerable to hacking. You need to use extra security measures to make sure that your precious online currencies are safe and secured. So whichever cryptocurrency will work well for you, always remember to keep in mind the right characteristics you will need to have efficient online trading transactions. 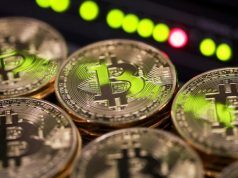 Sometimes, it is good to invest in Bitcoins, but it is also a good thing to learn about its alternative and how you can put that to your advantage.